The 25th annual Essence Festival goes down Fourth of July Weekend (July 4-7) at the Mercedes-Benz Superdome in New Orleans, and the lineup is out now. The headliners are Missy Elliott and Mary J Blige (celebrating the 25th anniversary of My Life), and there will also be main stage performances by Nas (celebrating the 25th anniversary of Illmatic), H.E.R., Jermaine Dupri, Pharrell Williams, RBRM (aka New Edition‘s Ronny, Bobby, Ricky & Mike), Teddy Riley, Teyana Taylor, Timbaland, MC Lyte, Sheila E, Morris Day, Ledisi, Doug E Fresh, Musiq Soulchild, Anthony Hamilton, Big Freedia, and Frankie Beverly, who will also be honored at the festival. D-Nice is DJing the main stage and Loni Love is your host. There’s also the Superlounge with performances by AlunaGeorge, Tweet, City Girls, Scarface, Rakim, Queen Naija, Normani, Mase, Jacquees, Ginuwine, Big Daddy Kane, Biz Markie, Nao, and more. The Superlounge will also feature a live album recording by PJ Morton with JoJo, Luke James, Mia X, Pell, and The Hamiltones. More info at the festival’s website. 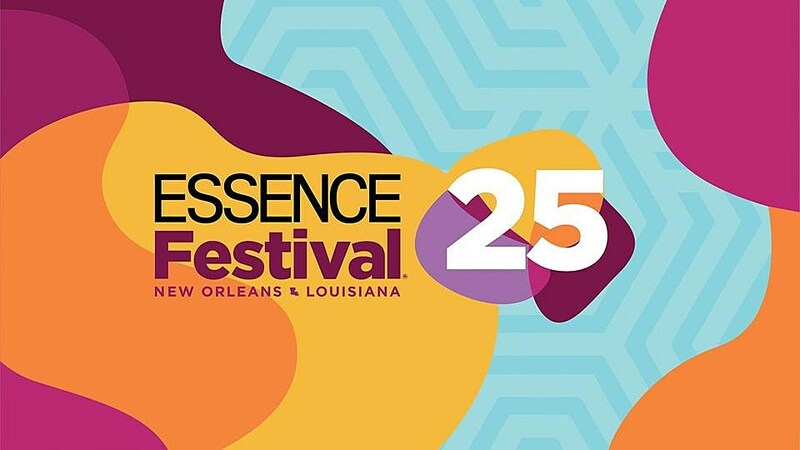 JUST ANNOUNCED: #EssenceFest is celebrating a major milestone this year— 25 years of moving the culture forward. It's only right that we do it bigger and better! We're just going to drop the 2019 lineup right here! Grab your tickets now at http://essencefestival.com. More acts to be announced. Tap the in bio for more.